Andy Shetterly grew up in Bethesda, Maryland, playing rugby for the Washington rugby club and representing the East Coast rugby union at an elite level of competition. After earning his BA in criminal justice at the University of Maryland (Go Terps!) he obtained his private pilot’s license and joined the United States Marine Corps. Andy progressed through Officer Candidate School and Naval Flight Training and ultimately earned the coveted Wings of Gold as a naval aviator. While stationed at Marine Corps Air Station “El Toro” in California as a C-130 pilot, he began studying various modalities of massage therapy. There, Andy found that by initially focusing on most effectively helping people relieve their pain, he could also increase their level of performance. After many years working full-time in the aviation industry and simultaneously as a part-time LMT, Andy switched careers, prioritizing helping people. Today, his client list includes full teams of elite NCAA athletes, professional baseball and football players, international ultra marathoners, triathletes, golfers, and people who haven’t recovered full range of mobility from surgery as they would have liked, but have exhausted all other options for relief — in some cases, traveling across the country specifically for Andy’s quality care and expertise. 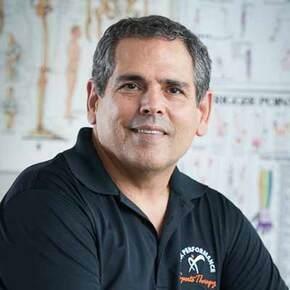 Over the years, Andy has practiced with some of the most accomplished soft tissue experts in the world. He is grateful for the opportunity to share these techniques with people in the Cincinnati region and beyond, helping not only to reduce one’s pain, but also to increase one’s quality of life. When he is out of the office, Andy enjoys running, swimming, cycling (road and mountain biking), snowboarding and spending time with his wife, Cindy, and their daughter, Mihkayla. He has competed in several marathons and triathlons, and most recently has taken up horseback riding with his daughter.